Sapa is a luring faraway paradise, up in a butty mountain of northwest Vietnam, where the highest mountain in Indochina. Do you have a plan to conquer the rooftop of Indochina, Mount Fansipan with the height of 3143m in Sapa tours? 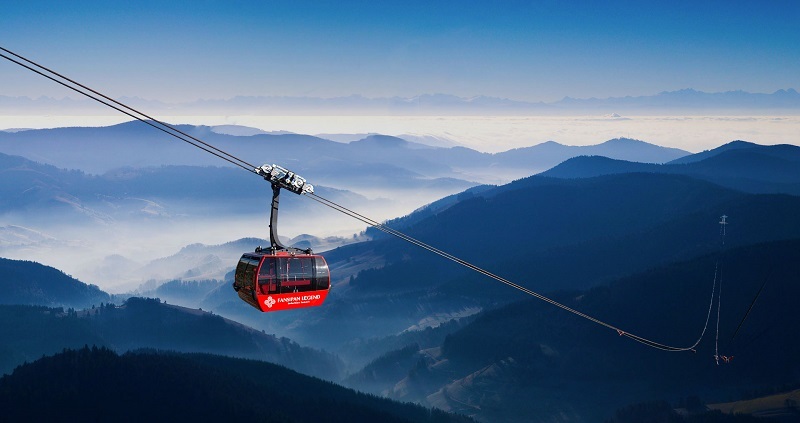 Fansipan cable car will be the best choice for your journey. Follow our Fansipan Cable Car guides and review to enjoy your travel at its best. Opened since February 2016, Fansipan cable car tours have welcomed thousands of both domestic and foreign tourists. Many people are eager for going to Sapa to experience the Fansipan cable car. What did the tourists say about the special cable system with two Guinness World Records? A tourist said that he has never thought that he could set his foot on Fansipan peak – the roof of Indochina, but now thanks to the cable car he and his family can stand on this 3000 meters height mountain. Many tourists feel very excited though they have gone to Sapa many times and admit that their tours become more interesting with the cable car system. How to Reach Fansipan Cable Car? To enjoy Fansipan cable car you have to go to Sapa first. There are many ways go to Sapa from Hanoi, you can go by motorbike, car or train. Many young people who have the passion for discovering new things and places like going to Sapa by motorbike. However, there are many risks when you drive for over 3000 kilometers long road. Moreover the road to Sapa quite hard to drive with a lot of bend hills and mountain roads. Give it a try if you have a good health and a steel spirit and an adventurous heart. There are many night trains going to Lao Cai with different qualities and prices. Trains often start at 9 pm or 10 pm from Hanoi and arrive in Lao Cai the next morning. To get to Sapa you have to take a car from Lao Cai to Sapa. If you travel in a group or go with your family, you can rent a 4-seat car, 7-seat car or 16-seat car. And self relocated to Sapa. Or you can through tourist car companies. Located in Fansipan Legend tourist area, Fansipan cable car station is 3 km away from the Stone Church – the center of Sapa town. You also have a multiple choice to get to the cable car station, such as taking a taxi, a train or going on foot. It takes you about 10 minutes and VND 40,000 for a taxi. Taking a taxi is also the option to get to the Fansipan cable car fastest. If you want to walk to the station you can go from Stone Church to Thac Bac Crossroad, turn left to Nguyen Chi Thanh Street and go straight to Fansipan Legend (about 1.7 km). With many signs along the road, you can get to the station easily. From March 2018, visitors will have an even better option for going, which is the Muong Hoa mountain train connecting Sa Pa town with the Fansipan cable car station. With a total length of approximately 2 km, this is the longest mountain railway in Vietnam up to the present time. The train departs from the MGallery hotel in Sa Pa town and finishes its journey on the Fansipan cable car station. The train goes through several mysterious tunnels, crosses the viaduct and offers passengers a view to looking down the majestic natural beauty of Muong Hoa valley and peaceful villages. The price for two-way mountain trains is VND 200,000/ adult and VND 150,000/ child (1m-1m3). Buying a train and cable car combo will reduce the ticket price by VND 50,000/ a ticket and include a coupon at Van Sam restaurant at the cable car station. You can buy tickets at the station, the price of tickets are listed publicly. The price for an adult ticket is VND 600,000, for children of 1m-1,3m in height is VND 400,000. Children below 1m in height can go free. The tickets are circular magnetic ones and are magnetic cards so you have to keep it carefully because you will have to give it back. Note that the cable car tickets are only valid for use during the day of buying so do not buy in advance to keep tickets if you do not have time to go to Fansipan that day. The best way is when you go to the station to buy tickets directly because the payment process for cable car tickets quite fast and easy now, you do not have to wait for long as before. Each cabling can accommodate from 30 to 35 people, the capacity of the whole system is about 2000 passengers/ hour. Sapa station is in Muong Hoa valley, the station is a 3000 meters high point and very close to Mount Fansipan. The distance between the two stations is over 1400 meters. The cable car journey is 15 minutes instead of 3-day climbing two to four days as before. The journey is not too long, but it is enough for visitors to admire the beautiful natural landscape at an altitude of thousands of meters. It is the primitive forest Hoang Lien Son, poetic Muong Hoa, the magnificent Hoang Lien Son mountain range, etc. The higher you go, the more clouds you see, the temperature will also decrease and the wind can make your cable swing a little. Do not fear. It is just a little challenge for your courage! 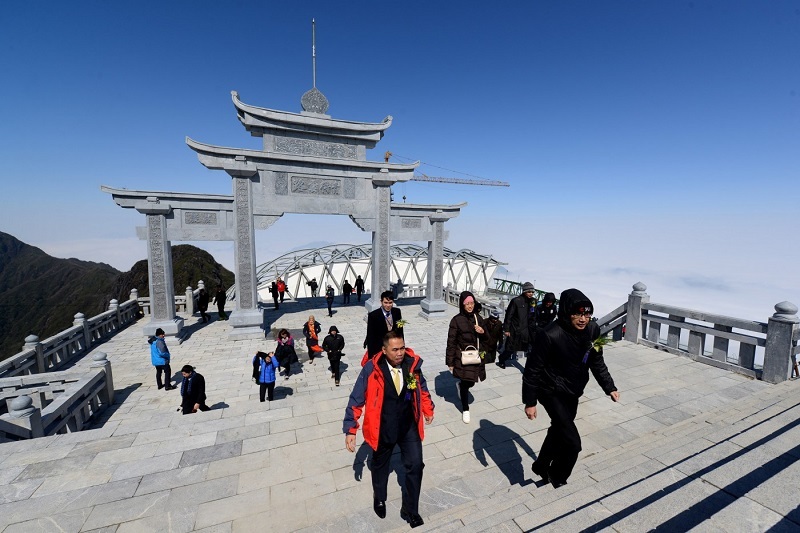 After arriving at the station, visitors will take about 20 – 30 minutes to climb 600 more ladders to reach the top of Fansipan peak, and touch the landmark in the roof of Indochina. Indochina is no longer a dream far away with many people as before since the cable car Fansipan was born. 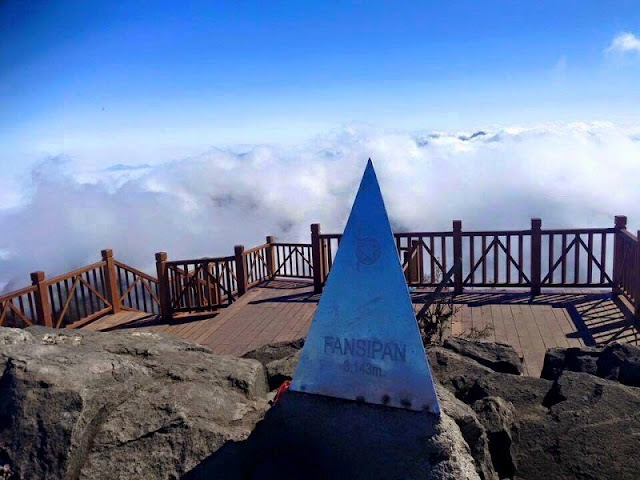 Beside the Fansipan peak, you can also visit the beautiful Fansipan Legend with Bamboo Garden, Bao An Thien Tu, Bich Van Thien, restaurant, shopping center, etc. You should spend half of a day to enjoy all the beauty of Fansipan Legend. Now your Fansipan journey becomes easier and so much fun with amazing cable car journeys. With those useful tips above Viet Travel Magazine hope that you get some ideas for your Vietnam vacation as well as new experiences in Fansipan, Sapa in the near future!